Times, they are changing and you cannot keep doing the same old marketing strategies that you have done for years because they are not going to work anymore. 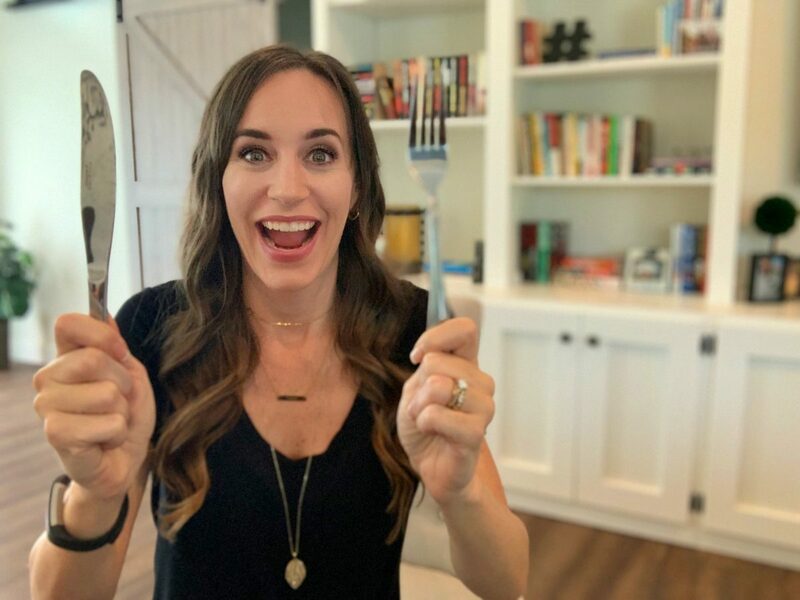 So, if you are running out of marketing strategies for your restaurant to fill the place up, then look no further because in this video I am going to share five marketing strategies for restaurants that will fill your restaurant up. The media industry is changing and so is the way that your customers are receiving information, so you need to switch things up a little bit, and in this video, I’m going to share some restaurant marketing strategies that me and my team have used with our restaurant clients that have seen them having long lines, waits out the door, and even running out of food some nights because they are so busy. Here are five different marketing strategies for restaurants that you can start implementing today. 1. Host a dinner with media influencers. This is a new kind of marketing that a lot of restaurant owners aren’t privy to yet because they’re still thinking old fashioned advertising. People are consuming a lot of content on social media now. They’re following people who are popular in their area and have large, engaged followings. Remember I said engaged, not just large. You have to watch out for that. You want to make sure that people you invite in for a meal to share on their social media are actually posting to people who care. I’ll give you an example of how I did this. I live in South Florida. I represent a few restaurants here in South Florida and there is a woman in South Florida who was a contestant on The Bachelor. She has a huge social media following, so I invited her to come into the restaurant with a friend and we comped their entire meal. In exchange, she just posted on her Instagram, “Hey, I’m out with my friend. This is the restaurant.” She tagged the restaurant and they got great publicity. All it did was cost the restaurant a comped meal. That’s an example of how you can host a dinner for a social media influencer. This is something you can do all at once. You can make an event out of it and have 10 people at once. I don’t like it that way because I think when you have 10 people posting about the same restaurant at the same time, it looks a little too staged, so instead, I invite the influencers in one by one. Whenever it’s good for them – they can bring a guest or they can come with their family and you’re spreading out all of that coverage over time. 2. Have a social media contest. I recently went to a restaurant and they would give you a free order of chips and salsa, or chips and guac, whatever you prefer. (I like the queso personally) if you would check in on social media and tag them. That’s all you needed to do. They had a table tent at the table, so everybody who sat down saw this… and everybody likes a free meal. They like a free appetizer. I mean, anything free at a restaurant is a win, right? So, people were checking into the restaurant, they were telling all of their friends, all of their family, and all of their followers where they were and what they were doing. That is free publicity. It’s going to cost you some chips and queso, chips and salsa, whatever you want. 3. Land a cooking segment on local TV. Obviously, this one is going to be my favorite because this is my jam. I book a lot of my local restaurant clients cooking segments on TV and one of the best ways to do this is to capitalize on those awareness days. On National Tequila Day, I had a Mexican restaurant on TV. They were jam-packed that night at the restaurant. Taco Tuesday, another Mexican restaurant on TV, another successful turnout at the restaurant later that night because they just got coverage in front of thousands of people in their market. I Heart Mac & Cheese is a restaurant that I represent. They have headquarters down here in South Florida where I’m located, but they also have franchises nationwide and there is a day called National Mac & Cheese Day and on this day, one location actually ran out of Mac and Cheese because they were so busy because I got them multiple cooking segments on TV on that day. I love this strategy. Local cooking segments are huge, so you just need to find that timely angle to get those segments and if you want to know more about pitching the media with that timely angle to get those cooking segments, make sure you check out a previous video I did about earned media examples and you can learn a little bit more about that. I also have a free three day media class that teaches you how to pitch, to get publicity, to turn that into profit that I will link below in the description. 4. Collaborate with other nearby businesses. If you own a restaurant, people have to actually leave their house and go out to visit you, so it’s a good idea to collaborate with people who are near you, other people who are out and about. Because I know if I went into a salon or spa and they offered me a discount to the restaurant next door, I’ll probably go eat at the restaurant next door. So think about collaborating with people who are near you. I touched on this in point number two. It’s a great way to land those segments on TV and there are awareness days are happening 24/7, like national chocolate chip day or national pi day. I actually got an Italian restaurant, a cooking segment on national pi day because they make pizza pies. So get creative with those awareness days. There are so many awareness days, not just for food but also for anything. If it’s national Italian day and you have an Italian restaurant, perfect. That’ll work. National pi day. Hello?! That’s math. That’s March 14th. 3.14. I got an Italian restaurant coverage on national pi day. So, get creative and use those awareness days to start up a promotion if it’s not to earn coverage on TV or in the media. You can use it for your own promotion and promote on your own platforms – on your website and your social media too. So, just do a quick Google search and find those national awareness days and capitalize on them. I showed you a few media hits that I earned some of my restaurant clients and I want you to get those same results too. You don’t need to spend money on advertising. People are just not paying attention to advertising the way they used to. You can learn how to pitch the media to get publicity and turn it into profit. So again, head to MediaMavenAndMore.com/Publicity. I am linking to it and the description of this video so you can get that coverage that I earn my restaurant clients here in South Florida.